While walking between workshop participants scattered along the beach, this photo was taken with my Olympus TG-4 compact camera. We’ll be heading back to Lord Howe Island in May 2017. 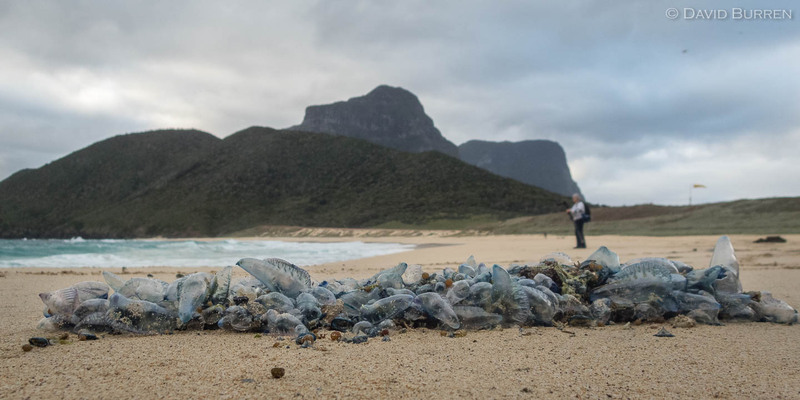 On Lord Howe Island’s Blinky Beach, we found clusters of these tiny jellyfish.